Spark your child's interest in maths by incorporating it into the most exciting of Winter Olympic sports—skeleton racing! Like ice luge, the high-speed sport involves racing a sled down an icy track. However, the major difference is that skeleton racing takes place face-first! 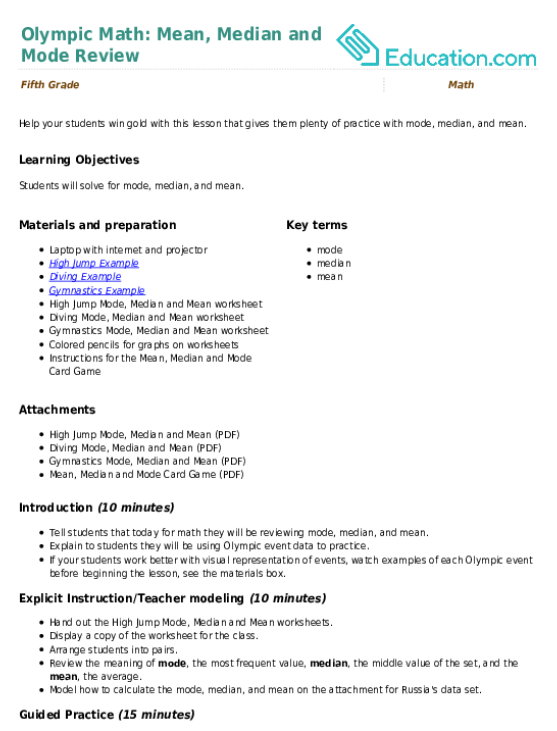 This colorful worksheet asks your child to use his addition and division skills to help the judges determine which country has the fastest time averages. 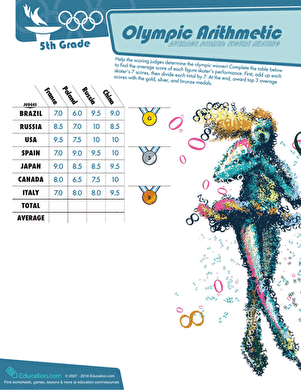 If your child enjoys this fun maths worksheet, check out the entire Olympic Arithmetic series! Challenge your fifth grader to help the judges determine the big winner of the luge race by completing the table of time averages! 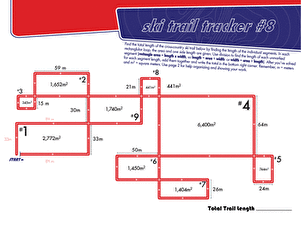 Get your 5th grader in the Olympic spirit with this fun bobsled maths worksheet. He'll calculate each country's average run time, then award the winners! Your child gets to play Olympic judge in this year 6 maths worksheet. She'll calculate each country's average score in order to find the winner! Take a shot at probability with Olympic archery. Calculate the probability of an arrow hitting a certain colour or a particular number of points. 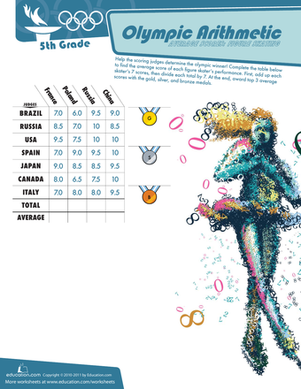 Flip your way to finding the mean, median and mode of these Olympic scores! practise basic data analysis, and then put the information in a bar graph. 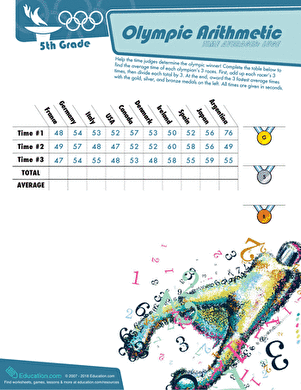 Your student can practise probability the Olympic way, with this archery-themed maths sheet. 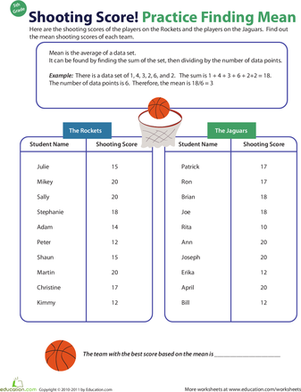 Let your fifth grader practise finding averages by determining the mean shooting scores of each team. Dive into maths! Five countries are competing in diving in the Olympics, and they have been scored on four dives. Find the mode, median and mean of their scores. Jump over the hurdles of maths by learning mode, median and mean. 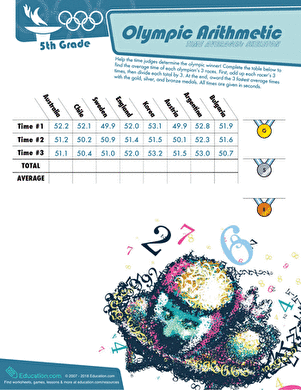 Use knowledge of data analysis to put each country's scores in a graph and award the winners!